Today I finally finished my latest pattern for Dear Stella Designs. 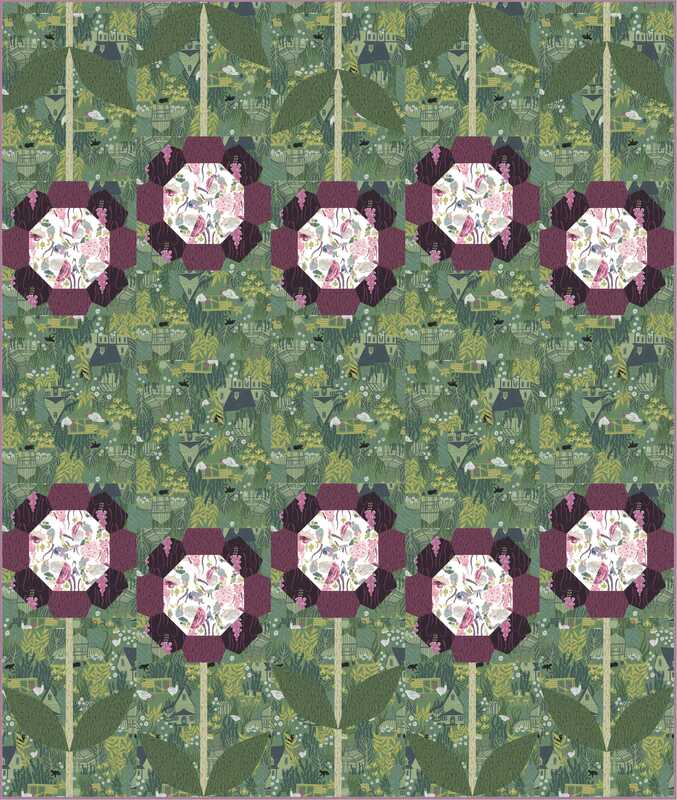 Say hello to the Garden Path quilt pattern. I love Rae Ritchie’s artwork and design style so when I get to play with her fabrics I really enjoy myself. I have the fabrics to make this quilt as well, once it’s done I am going to gush some more about it then put it on my couch. 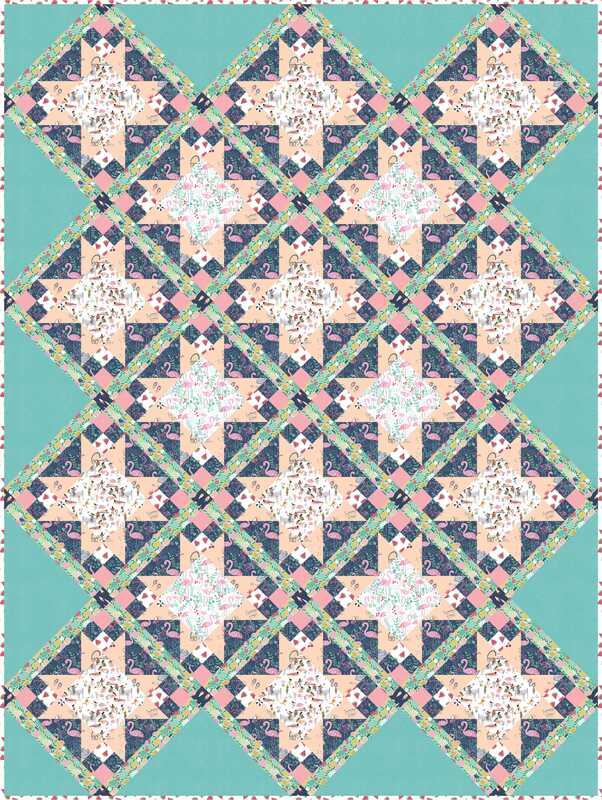 The pattern is a basic Foundation Pieced pattern available for purchase in my Craftsy shop. I also wrote a free pattern for this collection that is available from Dear Stella Designs called Rose Hedge. It’s a fun variant on a log cabin block. I love the little sleeping hedgehogs! We also reworked one of my older designs for a new collection from Dear Stella so be sure to pop over and check it out. 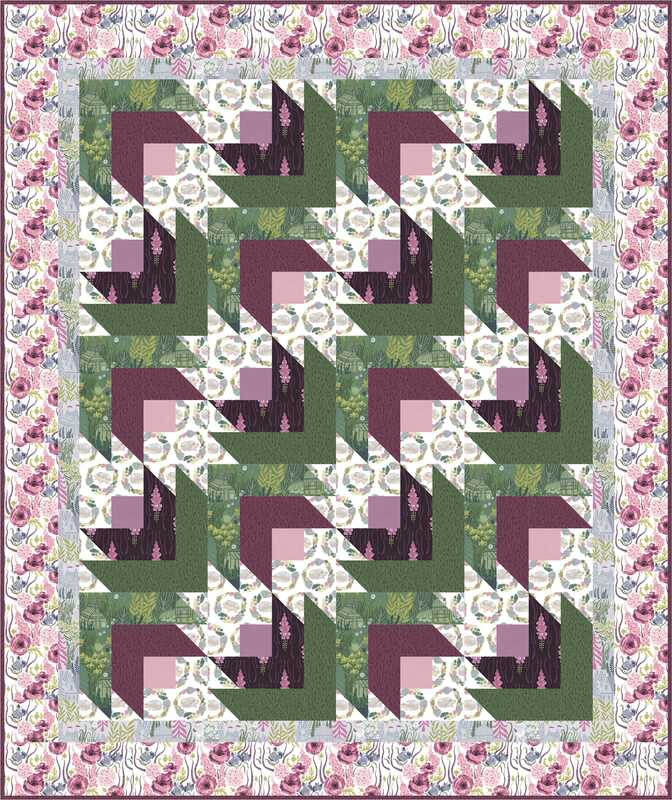 The Meadow quilt has been reworked for the Life’s a Beach collection. I love the flamingo print and the watermelons. All of my free pattern links can also be found in the Free Patterns tab of the menu bar above.